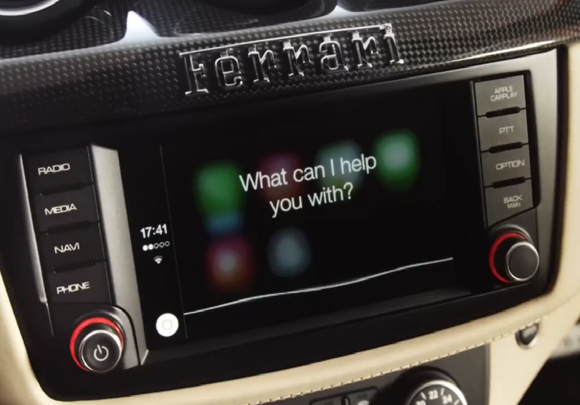 Apple CarPlay is finally here—in a car that most of us will never drive. 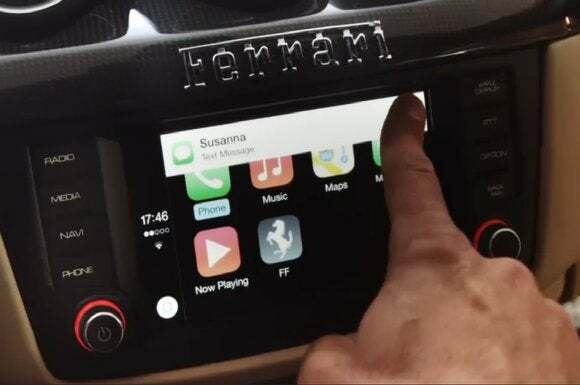 The typical older male Ferrari driver will use Apple CarPlay to make calls, messaging, and navigation safer while driving. Apple CarPlay, as shown in its world debut in a Ferrari car, will include Siri's helpful voice-controlled assistance. Apple CarPlay in a Ferrari, showing the navigation and traffic data to help you plan your trip. 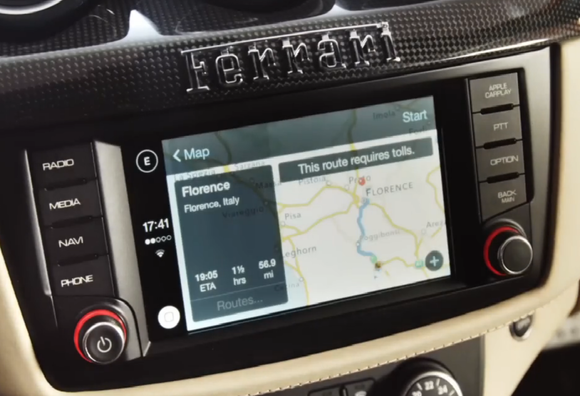 If nothing else, with Ferrari crossed off the list, the next CarPlay-enabled car to come out just might be in a price range that's within reach of regular folks.